The Texas Parks and Wildlife Department review comments on the Rio Grande Basin and Bay Expert Science Teams (BBESTs) recommendations can be found here. The Science Advisory Committee (SAC) review comments on the Rio Grande Basin and Bay Expert Science Teams (BBESTs) recommendations can be found here. The introduction to the Rio Grande BBEST recommendations can be found here. Lower Rio Grande BBEST Recommendations Report. Lower Rio Grande BBEST Report Appendices. Upper Rio Grande BBEST Recommendations Report. Upper Rio Grande BBEST Report Appendices. Upper Rio Grande BBEST Environmental Flows Recommendations Report- Errata. The Texas Water Code requires the creation of several Basin and Bay Area Stakeholder Committees for specific river basin and bay systems listed in the Texas Water Code §11.23620 . (map: geographical extent of priority basins). These Committees have specific tasks to perform to assist with the work of the Environmental Flows Advisory Group. One of the tasks the Committees are to perform is to establish a Basin and Bay Expert Science Team. Each Basin and Bay Expert Science Team will develop an environmental flow analysis and a recommended environmental flow regime for their specific river basin and bay system. 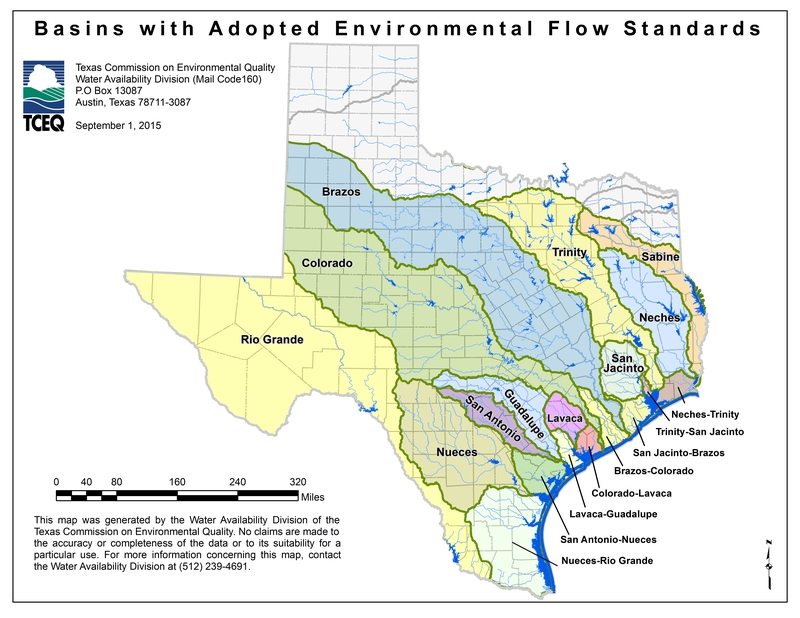 The Texas Water Code requires the creation of several Basin and Bay Area Expert Science Teams for specific river basin and bay systems listed in the Texas Water Code 11.02362 . ( map: geographical extent of priority basins). These Teams have specific tasks to perform to assist with the work of the Environmental Flows Advisory Group. Each Basin and Bay Expert Science Team will develop an environmental flow analyses and a recommended environmental flow regime for their specific river basin and bay system. The Upper Rio Grande BBEST has held conference calls on the following dates: September 19, 2011, January 11, 2012, February 9, 2012, February 16, 2012, March 22, 2012, March 26, 2012, March 29, 2012, April 5, 2012, April 13, 2012, May 10, 2012, May 17, 2012, May 24, 2012, May 31, 2012 and June 7, 2012. The Lower Rio Grande BBEST held conference calls on the following dates: October 27, 2011, December 16, 2012, February 9, 2012, February 20, 2012, March 28, 2012, and April 16, 2012. Questions about the stakeholder committee or expert science team? Please call or e-mail the Water Availability Division at wras@tceq.texas.gov or 512-239-4691 .